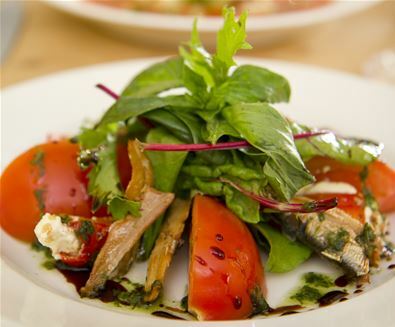 When it comes to local food producers, we are spoilt for choice here on The Suffolk Coast. So, as summer gets into full swing, don your apron, fire up the coals and make your barbecue one your friends and family will talk about for weeks to come. No barbecue is complete without a sizzling sausage and juicy burger, and you would be hard pressed to find meat as delicious than that from Kenton Hall's Farm Shop. Their herd produces 100% Longhorn Beef; known for its marbled quality without excess external fat, it's tender and fantastic in flavour! Their Oxford and Sandy Black sausage flavours include Lincolnshire, chipolatas, and pork and apple - the perfect banger for your hot coals! Make your burger extra special and top it with bacon from Emmett's Stores, the pork comes from nearby Blythburgh Free Range Pork and it's dry cured using natural sea salt and spices. Whilst at the shop in Peasenhall, you can also grab a few extras including olives, cheese, breads and their world-famous ham. For your burger and hot dog buns, a visit to The Cake Shop Bakery in Woodbridge is a must! Winners at the 'World Bread awards' their delicious baked goods include rolls, sourdough loaves, ciabattas and baguettes. 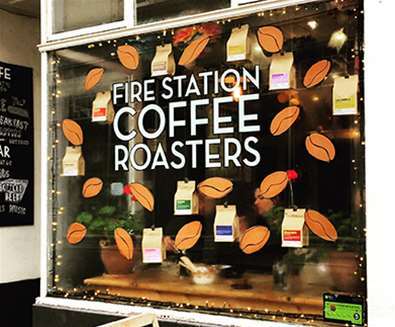 Head next door to The Firestation Coffee Roasters, Cafe & Bar to buy a bag or two of their own roasted coffee to accompany your dessert. Barbecues don’t have to just be a meat feast. 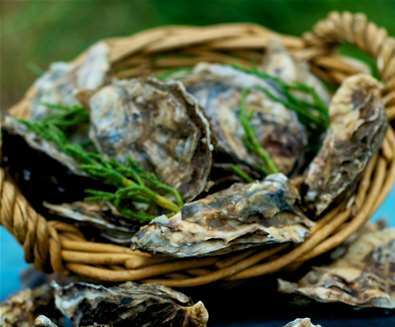 Why not treat your guests to some delicious smoked fish and oysters from Pinney's of Orford. Growing their own oysters at Butley Creek since the 1950s, Pinney's store also sells a wide range of freshly caught fish, plus crab cakes, potted crabs and angels on horseback, plus a range of pickles, chutneys, oils and jellies to accompany your meal. For cheese to top your burger and to accompany your salad, then make sure you stop by Fen Farm Dairy near Bungay and treat yourself to a round of their award-winning Baron Bigod cheese (which was served to guests at Harry & Meghan's wedding!). 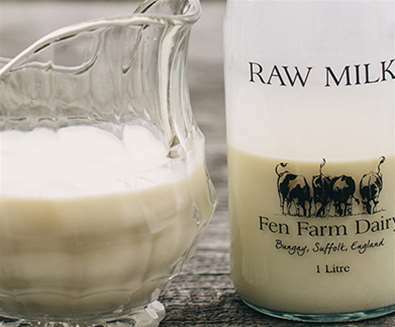 The farm vending machine also stocks deliciously cream raw milk and cream - the perfect accompaniment to your strawberries or summer trifle! 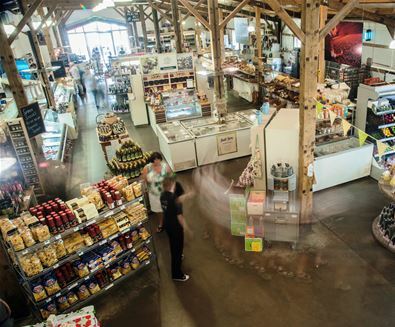 A treasure trove of delectable deli delights, at The Food Hall & Fresh Food Pantry at Snape Maltings you can fill your basket with delicious locally-produced, seasonal food, including freshly-baked bread and pastries from the award-winning Pump Street Bakery. For your BBQ, there's all you need including Suffolk sausages, locally produced meats, bread, crackers, pickles and chutneys, plus beers, juices and cordials. 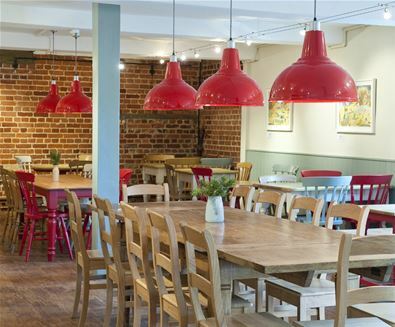 The Farm Cafe + Shop is a real find and a great place to stock up on an array of Suffolk produce. Here you will find locally laid free range golden yolked eggs to go with your summer salad, Suffolk wines and beers, vegetables and locally produced meat, poultry and game - should you wish to opt for something a little different to the normal sausage or burger! 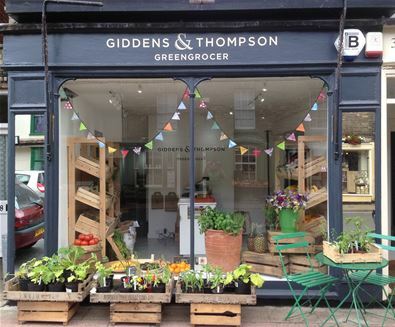 Located in the pretty town of Bungay, Giddens & Thompson Greengrocers sells a range of fresh, seasonal and local produce. Here you can get everything you need for your BBQ salad, plus strawberries, raspberries and blackberries for your summer pudding! Whilst there, cross the road and pay a visit to the Earsham Street Deli where you will tempted by an array of delicious treats such as Pump Street Bakery bean to bar chocolate and seeds from Munchy Seeds, before hopping in the car and making the short drive to Flint Vineyard to buy a case of the award-winning Bacchus 2016 which was named East Anglia Wine of the Year 2017. Take a trip to Suffolk Food Hall and you can get everything you need for a BBQ feast! With locally caught fish and seafood at the seafood counter, a wide selection of locally grown fruit and vegetables, a butcher for your sausages, burgers and steaks, a bakery for artisan loaves, rolls and pastries, and a delicatessen for chutneys, pickles, crackers and cheese. If you get hungry whilst shopping, stop off in the Cookhouse Restaurant for lunch, dinner or afternoon tea whilst enjoying panoramic views of the Orwell Bridge and river. 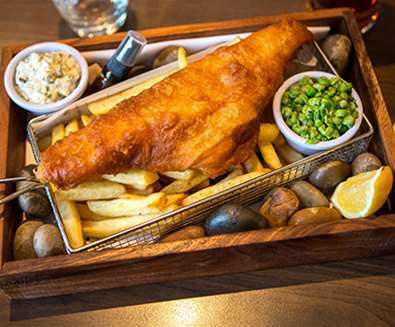 Inspired by a modern desire to return to simple, 'back to basics' food and impeccable service, offering freshly prepared dishes in contemporary surroundings. 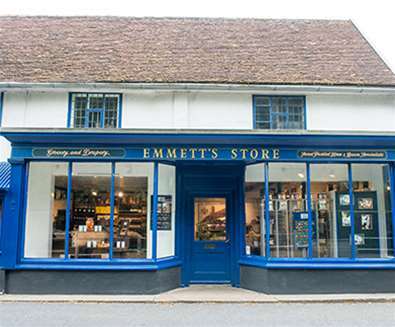 Emmett's is the oldest artisan ham and bacon producer in the UK. Beautiful handcrafted raw dairy products, made on the farm from the milk of the herd of happy Montbeliarde cows. A small cafe and bar serving delicious coffee, cocktails, snacks and rather impressively roasting their own coffee! 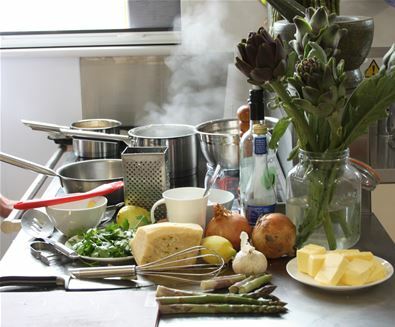 Whether you are an amateur cook or a food enthusiast let these courses inspire you. 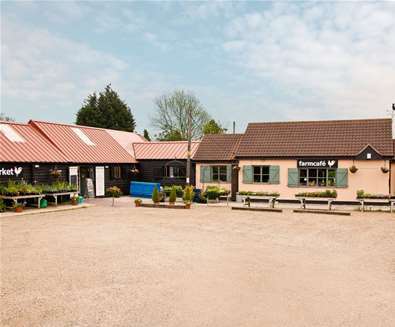 The farm cafe + shop, Marlesford is an oasis on the A12 a few miles from Woodbridge. The Adnams Crown Hotel is situated in The High Street, in the heart of Southwold. The atmosphere is always buzzing with a lively informality. There's an excellent selection of places to eat at Snape Maltings, from freshly prepared local food and cream teas to cafés overlooking the Alde estuary, providing guests with one of the best views of reeds, water and sky in the UK.